Children’s Cerebral Palsy, an organization that maximizes the functional abilities and care of children diagnosed with cerebral palsy, is gearing up ahead of Cerebral Palsy (CP) Awareness Month and wants the public to wear green to get involved. 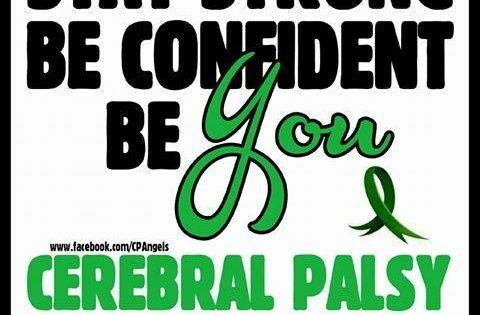 March marks Cerebral Palsy Awareness Month, with March 25th being National Cerebral Palsy Awareness Day. The month is dedicated to increasing awareness about CP and fundraising to research a cure. Those participating in CP Awareness Month wear green throughout March to show their support. Children’s Cerebral Palsy plans to increase the public’s awareness of the best practices for managing CP and gaining normalcy in the lives of those affected. CP is a group of disorders that affects a person’s ability to move and maintain balance and posture. It is caused by abnormal brain development or damage to the developing brain, most often before birth. According to the CDC, cerebral palsy is the most common motor disability in childhood with about one in every 323 children having been identified with CP. Tampa locals looking to support the fight against cerebral palsy are encouraged to donate to local cerebral palsy charities like United Cerebral Palsy of Tampa Bay, HUGS of Florida and The Arc TampaBay Foundation, to name a few. For more information on cerebral palsy, the Children’s Cerebral Palsy Center and how you can help, visit www.ChildrensCerebralPalsy.com.